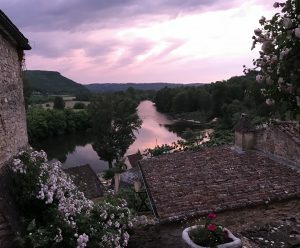 This summer, our Sleeps5 crew headed to the eastern Dordogne region of France after a hectic few days in Paris; one of which included a 17 mile walk–not recommended. After a long but scenic drive from Paris, we landed in the tiny hamlet of Montfort, where we were welcomed at La Barde. La Barde is an oh so comfortable bed and breakfast run by the lovely Frederique and her husband Pascal. 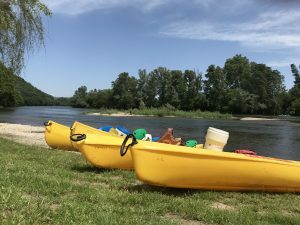 Here, in the sleepy village of Montfort, was a chance to slow down; take a stroll; read a book, or float down the Dordogne river. And, of course, eat well and I mean well! Readers will find below a list of our favorite villages, kid friendly activities, and restaurants. This list is by no means exhaustive but none-the-less gives the uninitiated a framework to go by. 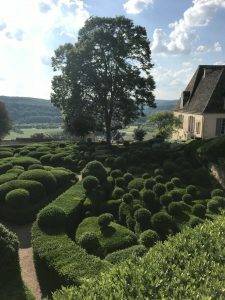 It should, again, be noted that we spent our time on this visit on the eastern side of the Dordogne. We found it is quite different to the western side for various reasons. 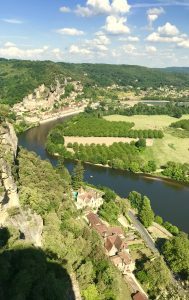 First of all, the eastern side, which includes the Perigord Noir, is quite dramatic due to the topography that the Dordogne river has created. The landscape is dotted with villages cut into the steep walls, farm filled valleys, and fortified hilltop castles. Also, this area is better known to international tourists and therefore much more heavily visited than the western side. This means visitors must plan carefully and arrive with patience for the inevitable traffic on country roads. A visit is truly worth it. We visited many, villages and towns during our 10 day stay. It seemed that each one was prettier than the next. And so, it is difficult to choose favorites but here is our best effort. public parking areas outside the walled city, visitors will follow the paths or roads by foot into town. There are recommended walks posted around the town including a map. I took a photo with my phone and used it as our guide for the day. 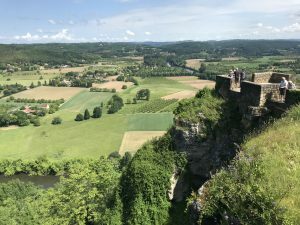 Domme has amazing views over the Dordogne river, many shops to peruse which cater especially to gastronomic interests. The wall and towers of this bastide (fortified medieval city) are well preserved. In addition, there is a cave well worth visiting however tours in English are hit and miss. onto the ancient medieval stone paths. The flowers are profuse around the town. Each patch of dirt bursts with blooms and vegetation. A small private castle (no entry) is your final destination at the opposite end. 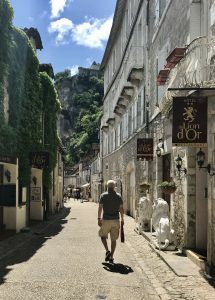 There is just one caveat to this spectacular town, though it has restaurants, a few stores and small places to stay, unlike Domme, it did not have the feel of regular inhabitants. That said I have hardly seen a place more picturesque! 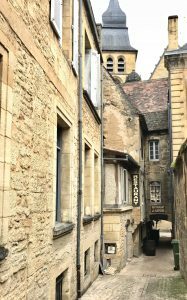 Sarlat is possibly large enough to be considered more of a city than a village but the ancient medieval part is quite compact and manageable once you have parked your car. The tourist office staff here is a great source of friendly and helpful information. Make the tourist office your first stop and pick up a walking tour map. We truly loved the architecture, the higgledy-piggledy streets, town squares, and impressive cathedrals. Behind the main church is an odd shaped little building called the Lantern des Morts (lantern of the dead). If any of your party are inclined towards singing it is a fun place to try a few bars. It is much like singing in the shower. There are many places to eat in Sarlat, but unlike the smaller villages it pays for a visitor to be a bit more discerning. 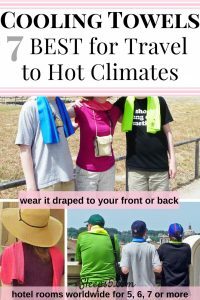 Do a little research in advance, get a recommendation from the tourist office or a shop where you have purchased something and if all else fails pay attention if there are only a few patrons in what is otherwise a bustling restaurant scene. river. There are a number of little shops along the cobbled paths leading to the top. Climbing roses and other flowers decorate the streets as you wind up the hill. Along the waters edge, visitors can rent boats and take rides along the river. We had a lovely dinner at the La Petite Tonnelle. We showed up without reservations but I think were rather lucky to be seated. The restaurant staff was warm and friendly and the food was great. Finally, this town is also designated one of the Plus Beaux Villages de France. We arrived at Rocamadour from above, parked and walked down (and of course back up again). 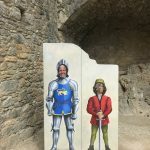 Th this UNESCO world heritage site is dramatically built against the cliff side much like other villages we visited but is larger in size and has a magnificent cathedral and castle built among the medieval homes. It has long been a pilgrimage location. Past visitors have climbed the many stairs on their knees to show penance and reflect on their faith. It is still quite an active holy site and as such visitors should be respectful of those on a spiritual journey. There is a tree covered path that leads on up to the top of the hill and castle with all the stations of the cross depicted on various icons. This town is bustling with shops, our favorite was the Fromagerie which is easy to miss as you must continue out the main pedestrian drag (Rue Roland de Preux) to where it becomes Rue de la Corroniere. It is a quirky place with good reasonable wine and cheese. Note, the shop only accepted cash at that time. Lastly, Rocamadour is an UNESCO world heritage site. sleepy but beautiful, medieval town of Daglan. The town is most active on market Sundays so plan accordingly. 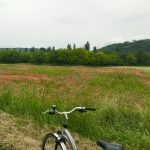 The bicycle path took us along a gentle stream, past fields of red poppies, and under the canopy of walnut trees. This was by far one of our favorite adventures. Kayak/Canoe: There are numerous kayaking outfits to choose from. The companies will start you in one location and pick you up with a van and run you back to your starting point. Important things to consider, this will take a minimum of 2.5 hours maybe longer when the river is running slower. Be sure that your kayak has a seat back. For some reason, many kayaks were missing these, which makes for a much more tiring and uncomfortable trip. Bring sun screen. Canoeing is generally easier for families with little ones. Lastly, the kayak companies provide life preserves for their guests. This is a particularly interesting stop for Americans as the famous owner of the chateau was an African-American performer, who, after suffering the limitations of a racist society in the USA, moved to France. Here Josephine Baker raised her family, became a war hero for the French Resistance, and entertained the masses. There are many exotic birds on display and a visit includes an interactive bird of prey show periodically throughout the day. These hill top gardens and have something for everyone. 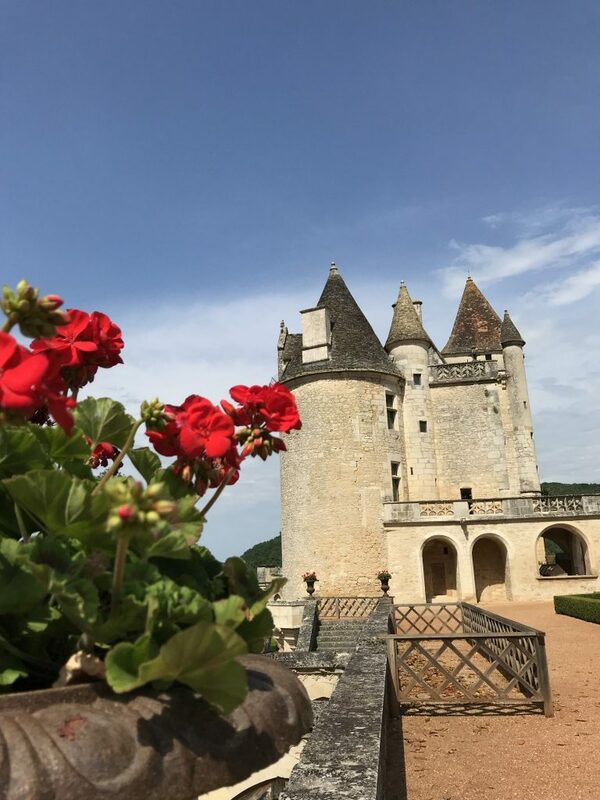 There are formal shaped mounds of greenery with incredible views of the countryside, an old chateau, outdoor restaurant, for the more senior members of any family. And for the younger set, there are endless trails twisting through the garden which is much more natural in design at the opposite end of the large garden there is a fun play area with a ropes course, hammocks, buried heads of hobgoblins, and other amusements for kids all under the shade of deciduous trees. And if that wasn’t enough, the gardens are now displaying an Allosaurus (or at least what remains of it) for the dinosaur lovers of all ages. Kids will also enjoy coming upon the resident peacocks who are not shy about letting you know they are there! This is not an exhaustive list but hopefully will give you some frame work to plan around. There are so many places we were unable to see–isn’t that always the case. So, we are already planning our next trip to that area . . .